Frosted grahams are a simple treat that reminds me of my childhood. Maybe you have had them in school or maybe your grandma or mom used to make them. The best part is you can make as few as you want or as many as you want. You can make it all from scratch( even the graham crackers) or use already made ingredients. The second best part is it is fast. Open a package of crackers and carefully break them in half. I did two packages with the homemade frosting I used, but you may be able to get more if you use a large can of premade. 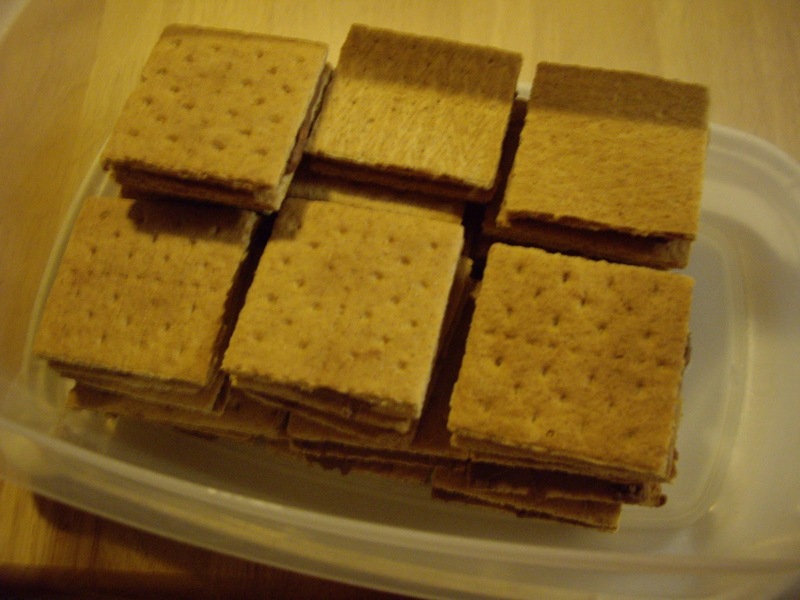 Spread one half of a graham cracker with a nice coating of frosting- about 1/8″ thick. Top with the other half of the graham cracker. Repeat with remaining crackers and frosting.